Learn to fly 2 is an action/adventure game in which you can choose from 3 modes: story, classic and arcade. In the story mode you watch a penguin in his pursue for the ability to fly, the game provides every information you may need to complete the tasks and many options of upgrades and achievements. The controls can be set in the options menu, you can use the keyboard (<, > or A, D) or the mouse to control your in-game experience. In this menu there is also the possibility to change quality, sound and music volume, and enable snow transition and menu animations. Your main objective is to destroy the 5 obstacles: snowman, snow mound, rocky hill, iceberg and the wall; to each obstacle is presented a fun description that you can enjoy as you destroy them. In order to complete this task you will need to make the upgrades that include sleigh, glider, boost and payload. Your score is based on distance, altitude, speed, duration and destruction; this is what gives the cash you need to buy the upgrades and completing challenges gives extra cash. Sleigh The sleigh upgrade is used on the ramp and increase the initial acceleration and the take-off speed. 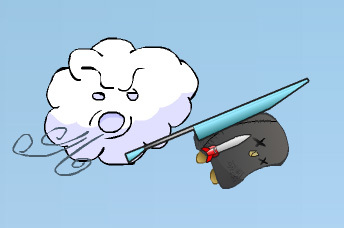 Glider Is composed by different devices that change the flight characteristic: increase speed, control, fall speed, etc. Be sure to read the description before buying the upgrades so you can combine them to have best results. Boost The boost upgrade increase the speed after the initial take-off. It’s perfect to achieve best results in distance. Payload Payload is the tricky upgrade because it can reduce the flight capability but it increases the iceberg-destroying power, which you will need eventually. 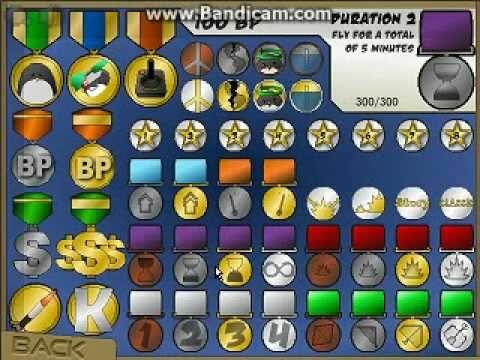 Playing learn to fly 2 counts your attempts in days, and even gives you hints about how to succeed or earn more cash and besides the menu where you can buy these upgrades, there is the bonus shop where you can buy interesting stuff like music packs, increased fuel capacity, and even more days in a month using the bonus points that are earned by completing challenges and achievements. In the medals menu you can see how much is missing to receive new medals (and how many bonus points each medal gives) and in the challenges menu you can see what is needed to do to complete them and receive the extra cash they give. In this game there are eight secrets to be found. None of them is mentioned here so you can use your imagination and investigative skills to find out and make this a “side quest” for your gaming experience in this captivating game. Also try another amazing flash game tank trouble 2 for free at www.tanktrouble2.org.uk .